Measurments for Hood Black Out. › Measurments for Hood Black Out. 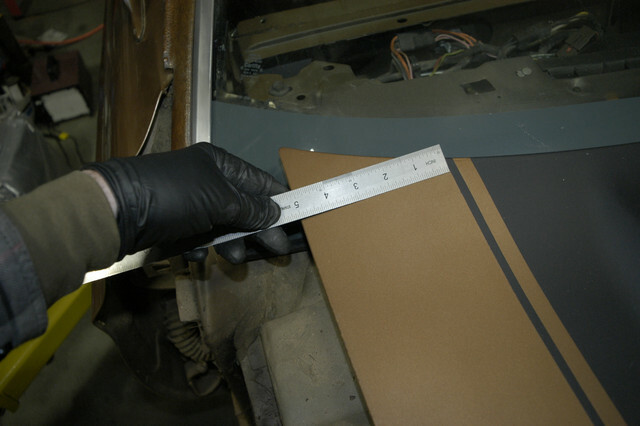 I took a few measurements on my original hood black out. Here are the pictures you should be able to read the dimensions. 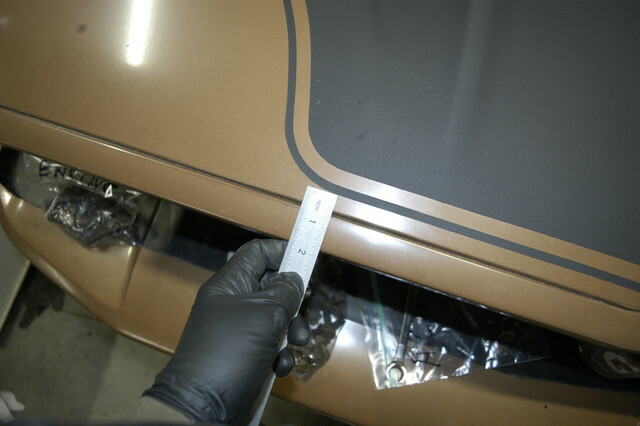 Looks like the front of mine is about 1 3/4" from the front edge of the hood including the trim. 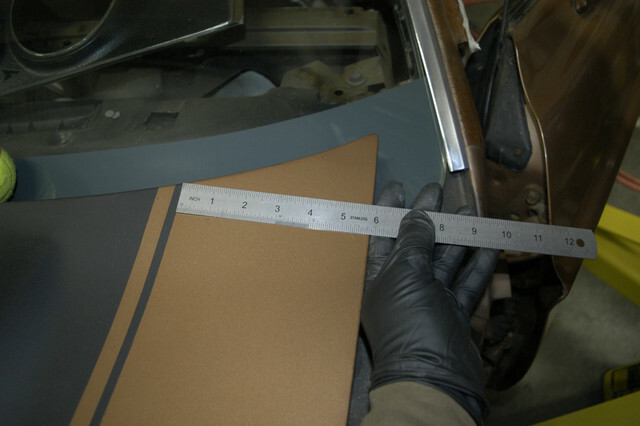 I measured from the sided about even with the ram air openings and at the windshield. As you can see not straight by any means but you eye does not really see it unless you are looking for it. I will eventually do some pictures and insert the dimensions of the widths of the outline and the spacing from outline to the main black. Thanks David, It goes to show they're NOT perfectly centered, It looks like 5" on one side 5 3/4" on the other. So I guess if a person was particular, 5 3/8" each side would be the number by the windshield. I would still be interested in knowing IF there are any differences between 71-72 and 73"s. Probably not but.... if ever you get time to check. Are there eps files (vector) available for this? Same for other stripes and scripts? Hmmm...so that means my newly painted hood is wrong. Oh well it’s only off by a quarter inch and I bet if you measured 10 of them that were done in the factory, maybe half would measure up the same. 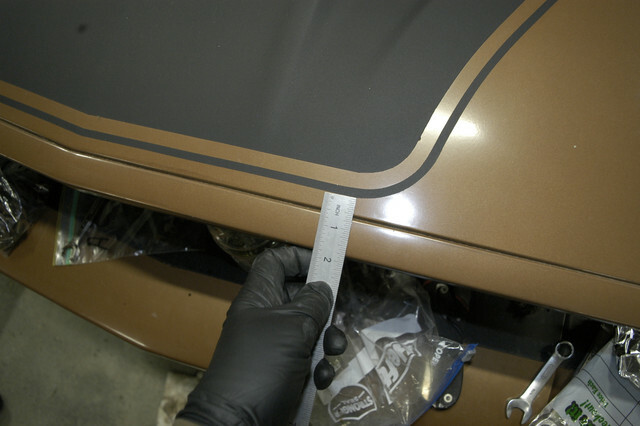 Thanks David for taking the time to measure it up! This is a great pattern to copy from. 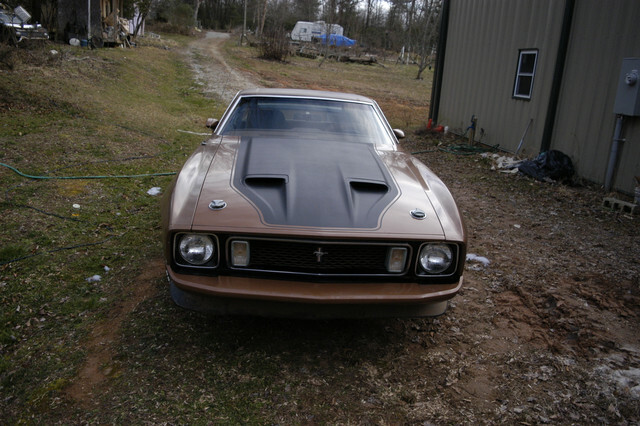 7173vert, thanks for posting that picture of your original 71 hood. It answers a question I asked (David) about whether there were any "design" differences between 71-72's and 73's regarding hood blackout. Obviously not by the look of it. Yours and David's are all but the same. In your picture, it is unfortunate I/we can't read the dimension close to the windshield end. That would be good info if you can clarify. 7173vert, thanks to you also for posting this pic of your hood. If I was trying to attempt the same thing, that’d piss me off too. Your painter should have been able to get it done the way you wanted. 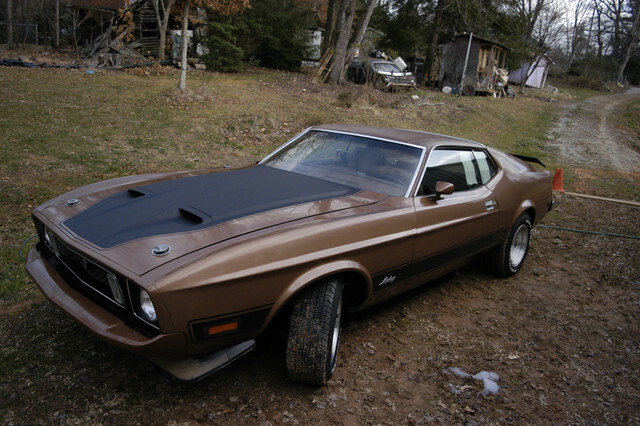 (03-05-2019, 01:17 PM)Stanglover Wrote: 7173vert, thanks for posting that picture of your original 71 hood. It answers a question I asked (David) about whether there were any "design" differences between 71-72's and 73's regarding hood blackout. Obviously not by the look of it. Yours and David's are all but the same. 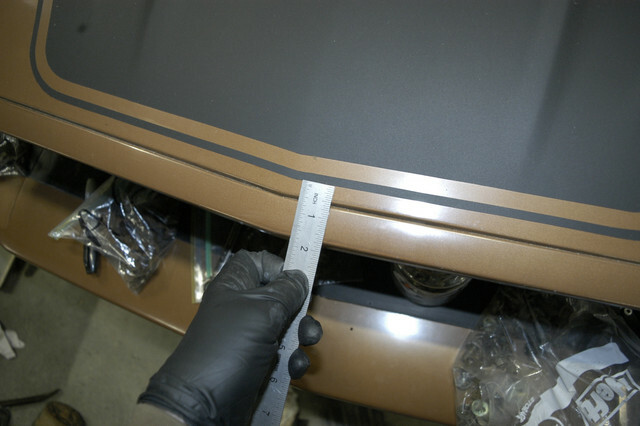 7" from the very tip of the hood (following the curve of the hood) to the inside (solid) blackout. If you increase the size of the pic, it is clear. Thanks. I printed the picture then used a magnifier and thought I could read 7", but was not sure.